So, I've often said how my time acting on stage has, in part, informed my writing. Namely, to treat characters as a part that an actor would enjoy playing. That means, when I bring in a tertiary character, I usually plan to have some fun with them. Give them a deep, inner life that isn't necessarily on the page. Sometimes to the point that they take a greater role in the narrative than I ever intended. For example, when I was writing The Thorn of Dentonhill, the character of Hetzer literally only existed at first so Colin had someone to talk to when standing on street corners or sitting in the turnabout. But as Colin ran headlong into the big confrontation at the end of that one, I realized Hetzer wouldn't let him go alone, and suddenly Hetzer became a crucial part of the climax. I had plenty of opportunity for those kinds of characters in Lady Henterman's Wardrobe. Part of the plot demands that the Rynax Brothers and their crew do a pit of con-artistry, and that means there are always the random people who they do that to. Be it a guard at the office building they want to get into, a public servant they want to get information out of, or a head butler they want to hire them, they're constantly interacting with people briefly, and I strive to make those people pop. But, for me, the ones that definitely took a life of their own was a pair of boys on the street. 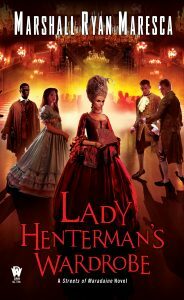 In Lady Henterman's Wardrobe, Mila continues to have her "Bessie's Boys" to run errands for the crew, be an extra pair of lookout eyes, or whatever else she needs. In Holver Alley, they were largely a nameless group of young boys she bossed around. Here, we get to meet a few of them, and two of them-- for me at least-- kept coming back into the plot. The youngest, the tiniest of the Bessie's Boys, the twins, Tarvis and Jede. Both of them, at the tender age of six, are possibly the most savage and cold-hearted little bastards you'd ever meet. And, oh my lord, were those two just a delight to write. 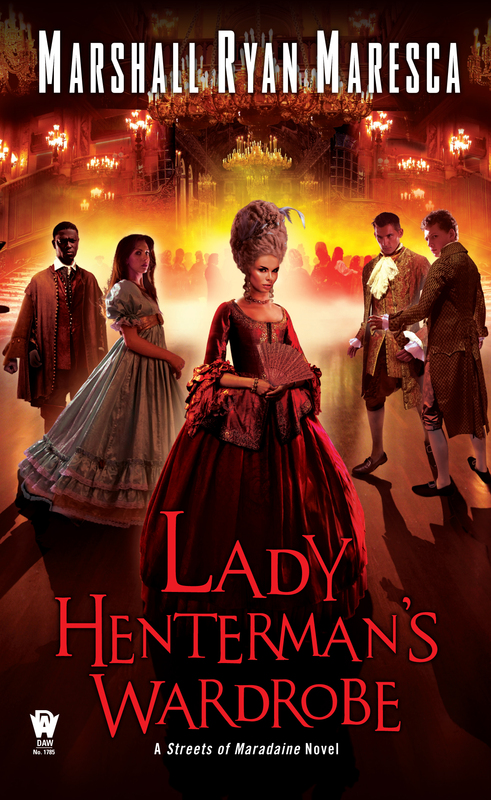 And you'll get to meet them both soon enough, when Lady Henterman comes out in March.